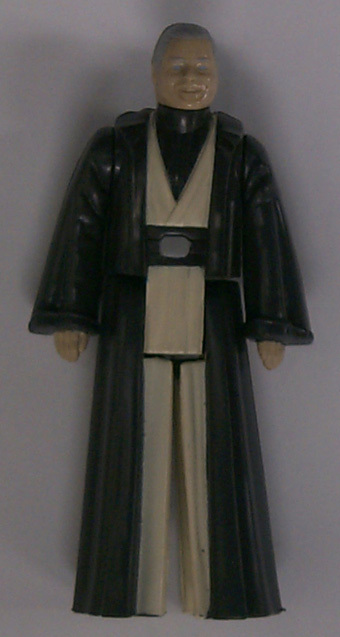 Man, of all the carded samples a collector could have, the POTF Anakin has to be one of the coolest. This piece is actually one of multi-faceted coolness--it's composed of several elements, all of which contribute to its overall appeal. Here you see the figure as looks when attached to its card. The primary differences between this piece and its production counterpart are 1) the squared-off corners of the card bottom, which indicates that this is a proof card, and 2) the absence of a clear plastic "bed," which would normally hold the figure in place inside of the bubble. Here's the card without the bubble and figure attached to it. Apparently, the bubble can be easily remove; the adhesive that held it in place has probably dissolved. You'll notice here that, although the figure bubble is not present, the coin is still held in place. 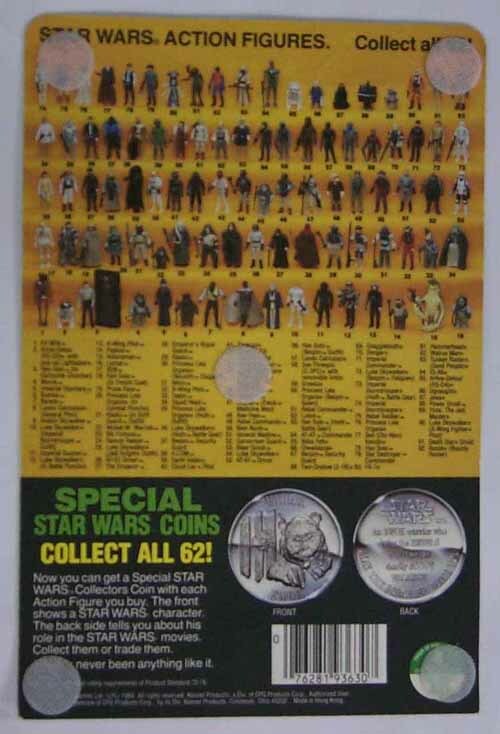 The production POTF figures, of course, had one-piece bubbles, which incorporated compartments for both figure and coin. 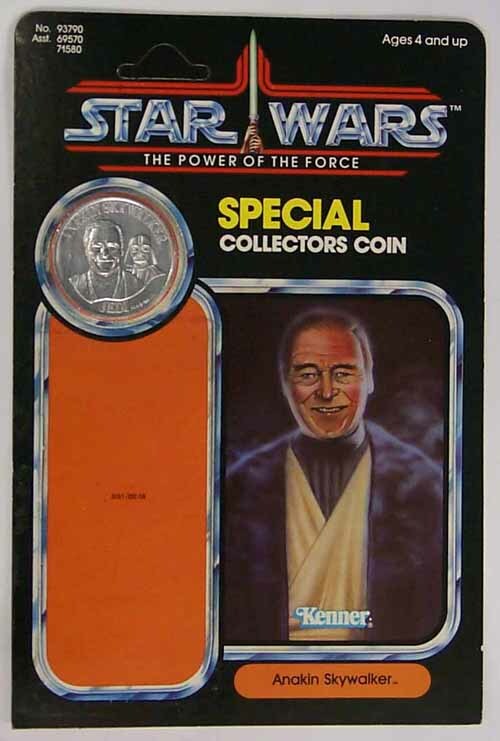 On quite a few sample POTF figures, however, the coin is attached via a separate, round piece of plastic, which is glued on indepently of the larger figure bubble. 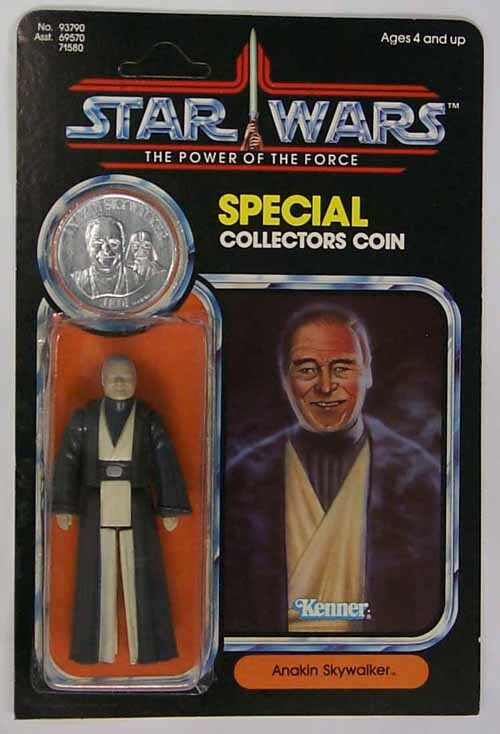 At this point in the production process Kenner must not have had their new POTF bubbles ready for use. Here you see the back of the card. Not much to comment on other than the velcro stickers. Velcro was frequently applied by Kenner to sample packaged toys in order to make them easy to affix to product displays at industry shows such as Toy Fair. 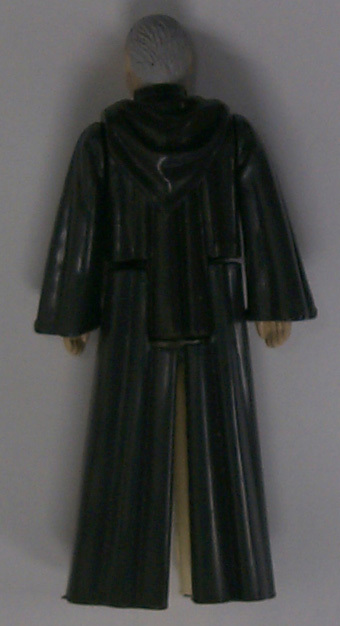 Lastly, we have the figure. It's hard to tell from this photo, since there is no production figure with which to compare it, but the plastic this piece is made from is a good deal darker than that eventually used for the issued figures. The figure is a first shot and, typically, it lacks the copyright/date markings on the back of its leg.